摘要: Sogou’s second-quarter revenue exceeded $301 million, achieving a 43% year-on-year increase and a 21% quarter-on-quarter increase to a record high. On July 30th, Beijing time, Sogou (NYSE: SOGO) announced its second-quarter financial report. Sogou’s second-quarter revenue exceeded $301 million, achieving a 43% year-on-year increase and a 21% quarter-on-quarter increase to a record high. According to non-GAAP, Sogou's net profit for the second quarter was $38.2 million, with a 58% increase from the same period last year and a 40% increase from the previous quarter. In addition, the second-quarter cost of revenue of Sogou was $179.7 million, with a 70% increase over the same period last year. The increase of traffic acquisition cost, which was $135.7 million and rose 33.7% over the same period last year, was the main cause of its cost growth. The financial results showed that in the second quarter of 2018, search and search-related revenue was $270.6 million, with a 45% increase year-over-year. The increase was primarily attributed to the substantial growth in auction-based pay-for-click services, driven by improved monetary policy and continued traffic growth in mobile search. The sales of intelligent hardware and Internet value-added services collectively contributed to revenue of $30.8 million, which increased by 27% compared with a year earlier. Sogou continued to give play to its advantage in vertical fields search, and its competitiveness increased significantly. With a slogan of ‘search the world for health’, Sogou cooperated with more than 700 overseas authoritative organizations in order to gratify users who crave for large amount of health information. In the first half of 2018, Sogou continued to improve the intelligent Q&A technology. 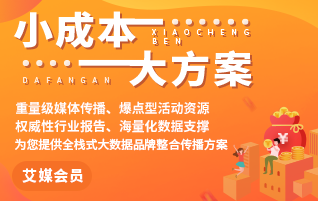 The direct answer coverage of the top search results of Sogou search results increased from 33% to 39% at the beginning of 2018, and the accuracy of the first answer increased from 91% to 95%. The intelligent triage system based on Q&A technology has doubled the number of diagnosable symptoms, and has covered more than 90% of user symptom queries. According to the ‘2018H1 latest China Mobile Search Market Monitoring Report’ released by iiMedia Research, Sogou was the second frequently used mobile search engine, with a market share of 23.2%. The financial results shown that R&D expenses were $56.2 million, with a 48% increase year-over-year, representing 18.7% of total revenues, compared to 18.1% in the corresponding period in 2017. Sogou's investment in AI field was remarkable. In the second quarter of 2018, Sogou’s multiple voice technologies won the first place in domestic and foreign competitions. With the help of AI technology, the number of daily active users of Sogou input method has increased by 36% compared with the previous year, reaching 380 million. In addition, Sogou AI translation technology has also achieved a good landing on smart hardware. In the second quarter, Sogou launched the second AI hardware "Sogou recording translation pen". To date, Sogou AI intelligent hardware has established a clear brand awareness in the market. iiMedia Research data shows that in the second quarter of 2018, more than half of the interviewed mobile search engine users are optimistic about the prospect of voice-input search searching. And 63.4 % of the users believed that speech recognition accuracy is the most important factor affecting the use of voice search. The Sogou AI technology will further remove the obstacles of users’ use voice-input searching. Taking into account the impact of regulatory tightening, the decline in smart hardware sales after the strategic adjustment and the depreciation of the RMB, the Sogou's total revenue in the third quarter is expected to be between $275 million and $285 million with an increase of 7% to 11%.